Please include an "@" in the address. Be the first to learn about discounts, special offers and private sales. Privacy Guarantee: YMT promises not to sell or trade your email address. Get special offers and travel tips by email. This program is currently sold out but new dates are coming soon! Call 877-332-6185 for more details. Ancient history. Hanging gardens. Black sand beaches warmed by the desert sun. YMT is proud to announce this itinerary unlike any other in our portfolio—discover the highlights of a region where antiquity and the modern world collide on this journey across 9 exotic nations! Baggage Handling: To and from your hotel room and cruise ship cabin throughout your tour for one piece of checked baggage per person. Want more information? 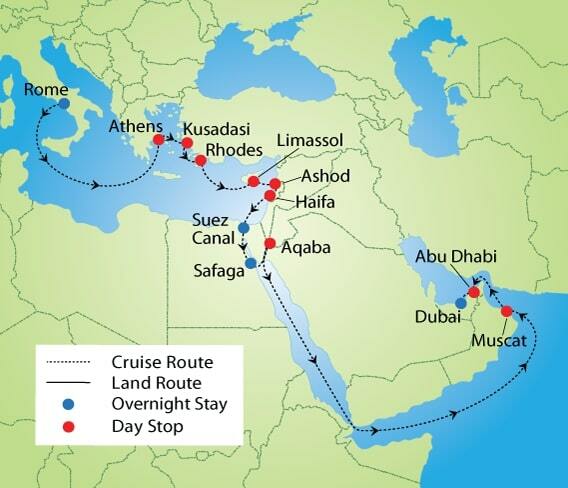 Check out our Travel Tips - Jewels of Arabia document! For all countries listed below, all guests must have a passport that is valid for at least 6 months beyond the return date of this tour (March 3, 2020) and have at least one blank visa page available. Visa requests upon arrival may require you to provide a valid passport for at least 6 months beyond the return date of your tour and have at least one blank visa page available, proof of return flight, and additional documentation regarding sufficient funds and or travel itinerary. Please consult with NCL and or Visa Central or Pinnacle. The above is valid for US citizens as of 1/1/19. All guests are advised that passport regulations are subject to change, and guests who are not US citizens must check their visa requirements with the consular offices of the countries listed above. *Web prices reflect instant rebate pricing. Valued up to $3,560 per couple For Balcony Cabins. Offers valid for new bookings only and subject to availability. Offer may be cancelled at any time. Please follow the steps below to price your vacation with YMT. When you complete all the steps, please click "Reserve" next to the date. 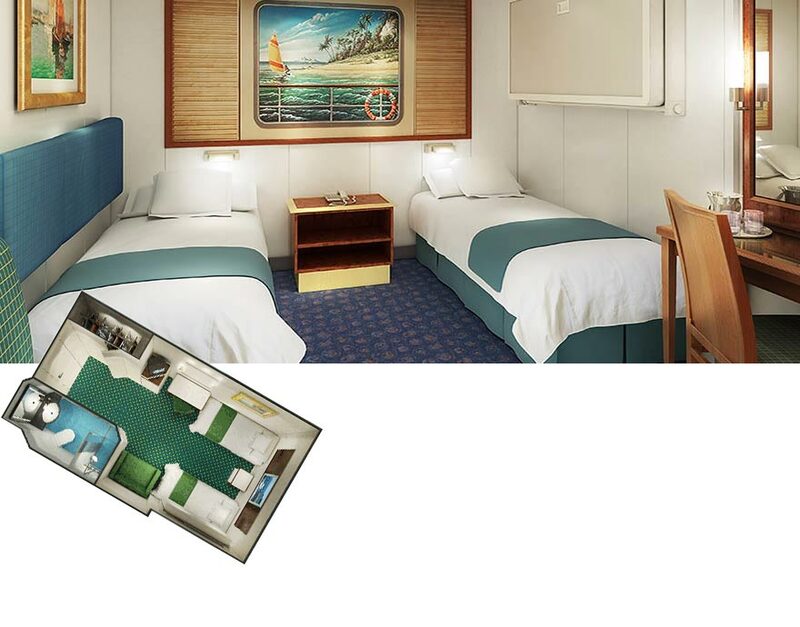 Inside Staterooms are the most affordable way for you to cruise. With room for up to four, you'll have two lower beds that convert into a queen-size bed and additional bedding to accommodate two more. Total Approx. Size: 149 sq. ft. 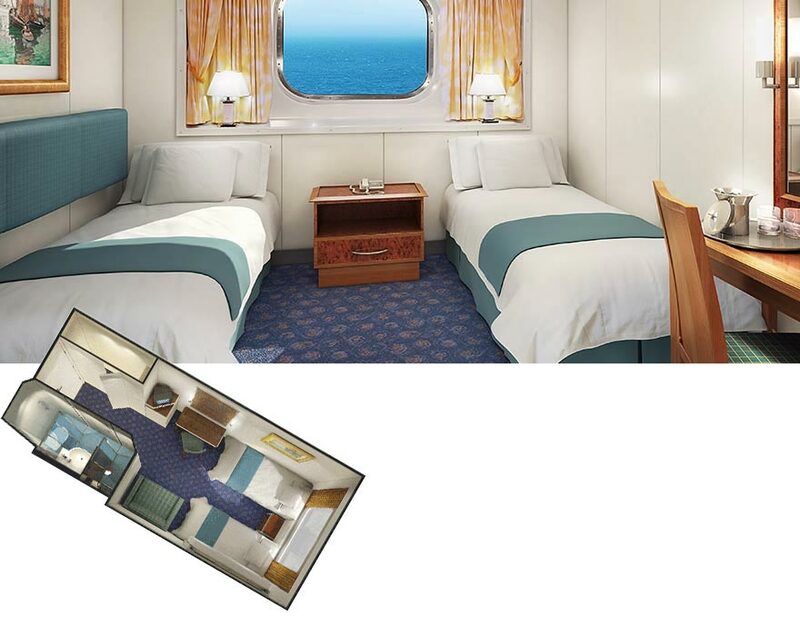 These Oceanview Staterooms located on a lower deck, can accommodate up to three guests and come with two lower beds that convert into a queen-size bed and additional bedding to accommodate one more. You'll also have a big picture window to enjoy the amazing view. Total Approx. Size: 157 sq. 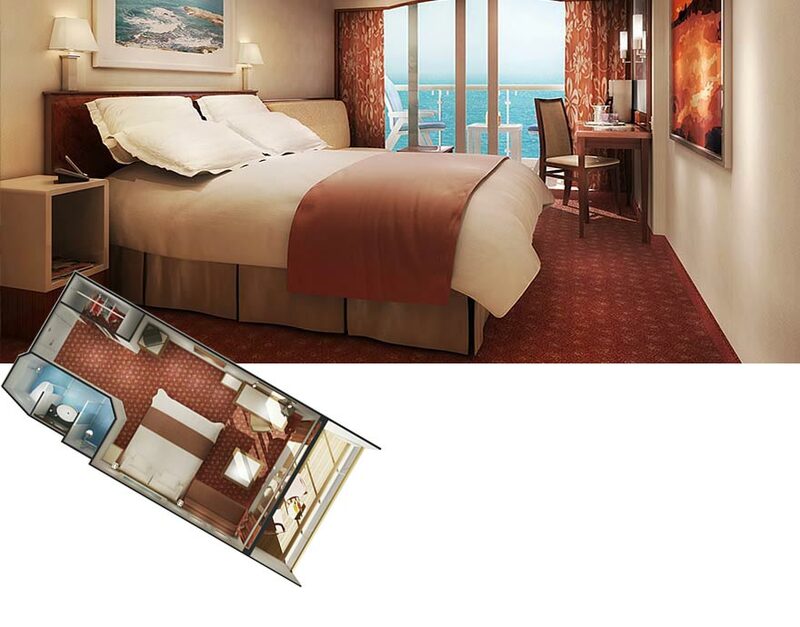 ft.
With room for up to three guests, Norwegian Spirit staterooms have two lower beds that convert into a queen-size bed and a pull out sofa to accommodate one more. Along with a sitting area, floor-to-ceiling glass doors and a private balcony with an amazing view. Total Approx. Size: 201 sq. ft.
Balcony Size: 40 sq. 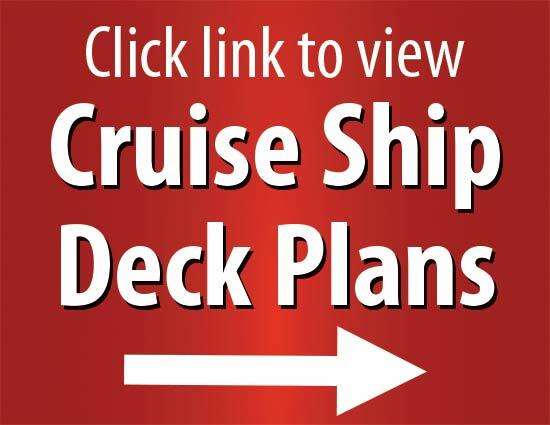 ft.
Click here to view Norwegian Cruise Line's Norwegian Spirit deck plans on website. Content that you may read on Norwegian Cruise Line's website may not be applicable to your tour, please speak with a YMT Travel Consultant for clarification. The cradle of civilization and the oldest city in Europe, Athens is home to the Acropolis and some of the most important architectural structures and archaeological finds in the Western world. This magnificent city is also distinctly modern and full of extraordinary art, culture, cuisine and shopping. Take a journey into the past in richly historic Ephesus, now known as Kusadasi. An important city to the Ancient Greeks, Ephesus was built, destroyed, and rebuilt again through the course of its tumultuous history. It still boasts bountiful ruins and archaeological excavation sites, and was home to the famed Temple of Artemis, one of the Seven Wonders of the Ancient World. During your day at leisure here, perhaps visit the Roman Library of Celsus, the Gate of Augustus, the Tomb of John the Apostle, or the Basilica of St. John. The remarkable walled city of this Greek island just off the coast of Turkey is now one of the most popular tourist destinations in Europe. 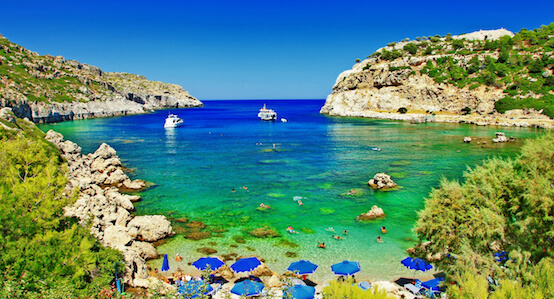 Discover the old fortified city on your own— perhaps visit the acropolis of Lindos, and see where the Colossus of Rhode once stood. Considered one of the most picturesque regions in the Middle East, Israel’s third largest city is built on the northern slopes of Mount Carmel. Its spectacular Bahá'í Gardens are the largest hanging gardens in the world, and many visitors are also drawn to the Cave of Elijah. The boutiques on Massada Street and the artists village of Ein Hod featuring hand-blown glass and other one-of-a-kind pieces of art are not to be missed. Haifa is also close to holy sites like Galilee, Nazareth, and Jerusalem that you might decide to visit during your 2-night stay. Safaga’s black-sand beaches are the perfect place to relax under the desert sun. Guests who wish to experience the splendor of ancient Egypt can choose to visit nearby Luxor and see the Karnak Temple Complex and the 3,400-year-old Colossi of Memnon statues. Jordan’s only coastal city and one of its most popular tourist destinations, Aqaba enjoys year-round sun! In the city you'll find the 13th- century Aqaba Fortess, the archaeological museum, the Ayla ruins, and plenty of delicious traditional food. Be sure to save some time to stop at magnificent Petra, the world-famous ancient city carved out of stone, nearby. Discover the Norway of Arabia. Its many beautiful fjord-like inlets and stark landscapes are singularly striking, and the clear, calm waters are home to famously curious dolphins. Perhaps visit Khasab Castle to learn about the history of the area and local traditions. Noted as the world’s richest city, Abu Dhabi boasts a wealth of culture, history and adventure. From the emirate’s old souks, the ancient bazaars perfect for sipping fragrant Arabic coffee, to the rush and roar of the brightly colored supercars driven by the city’s youngest billionaires, Abu Dhabi is a vibrant feast for the senses. Perhaps choose to visit the local merchants to get deals on handicrafts, artwork, even spices and dried fruit for the cook back home. 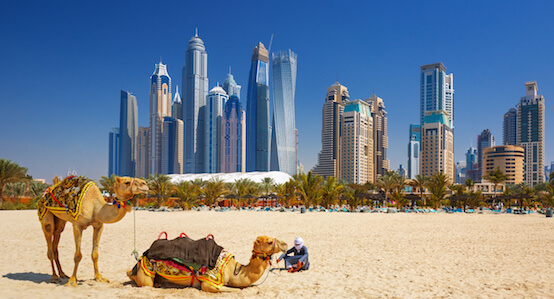 Disembark this morning in Dubai, and then enjoy a panoramic city tour of this fascinating blending of traditional Arab culture and modern western culture. Highlights include the Dubai museum, the Abra water taxi crossing, and the Burj Khalifa—which you will see from the Sky Level Observation deck on the 148th floor. At a height of 2,722 feet, the futuristic tower is the tallest building in the world. The evening is at leisure. Please note that this is a proposed itinerary; the actual itinerary may vary due to season, special events, or weather. Because our tour arrangements are often made a year or more in advance, YMT Vacations reserves the right to alter the itinerary. Itinerary changes are made to improve your vacation experience, as well as respond to any unforeseen circumstances that mandate alterations. By their nature, all tours vacations involve a certain level of physical activity. While YMT tours have been designed with our guests in mind and are not physically demanding, this tour does include walking and periods of standing during the sightseeing visits. You will also encounter steps and some uneven ground along the way, particularly at older, historical sights. YMT Vacations itineraries may contain suggestions for activities for your leisure time; these suggestions do not constitute a recommendation nor an endorsement of any specific service provider and the decision to participate in any such activities should be made independently. 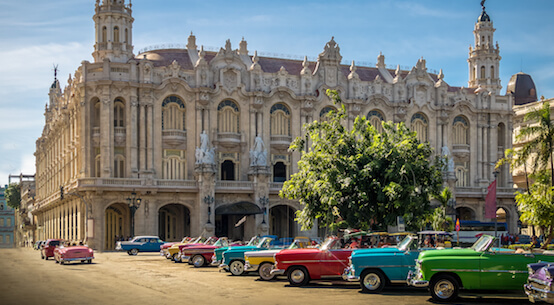 This itinerary combines a tour in Miami, a cultural experience in Havana, and a trio of breathtaking islands in one unforgettable vacation. Discover the natural and cultural beauty of this sun-soaked region as you cruise in luxury around the Caribbean on this perfectly-planned escape! 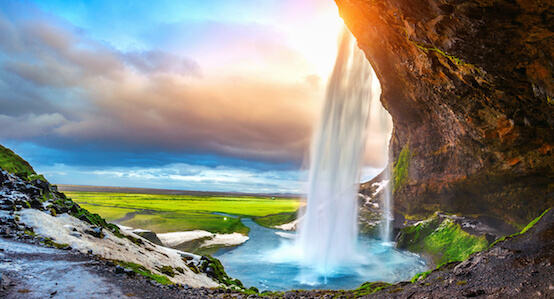 Iceland, “The Land of Ice and Fire,” is as dramatic as it is beautiful. You will never forget the impressive displays of Mother Nature’s might that still dominate the landscape of this remote country, the home of ancient Vikings, friendly locals, and stunning nature. Take a trip through the Baltics on this amazing itinerary that visits 6 fascinating countries. 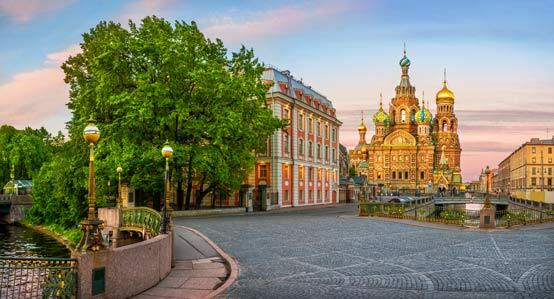 Enjoy a relaxing 9-night cruise including 2 days in St. Petersburg, Russia, plus a land tour of Copenhagen as you travel through one of Europe's most beautiful regions! © 2019 YMT Vacations. All rights reserved.